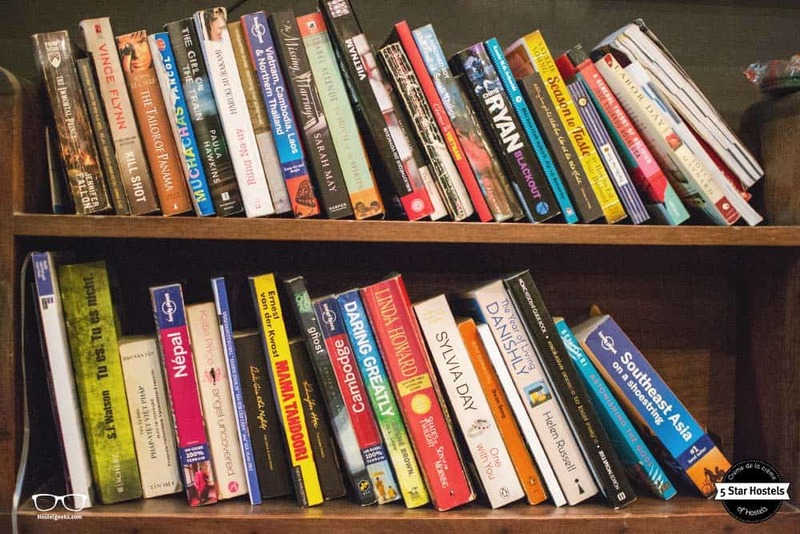 How to book The Common Room Project? 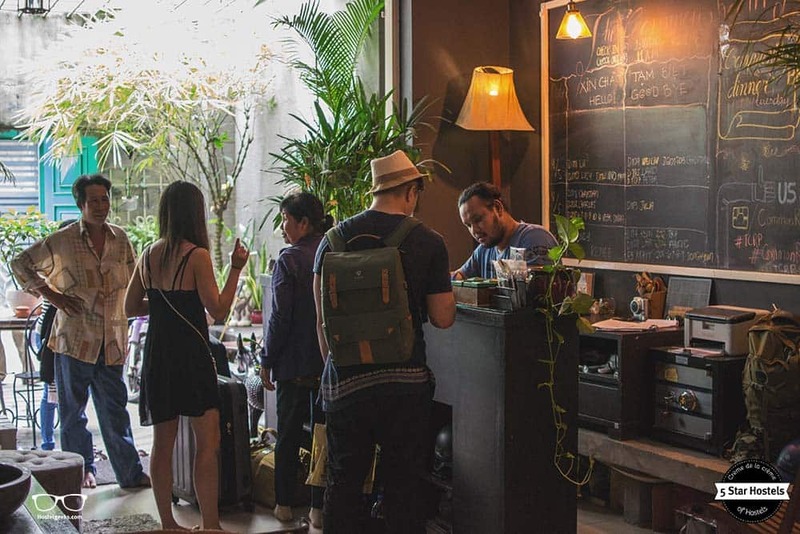 You just found our #1 recommendation for best hostels in Ho Chi Minh City. Genuinely, The Common Room Project is the accommodation we recommend to our friends, family, and to you! You will like it! Planning to stay at The Common Room Project? Please use the links provided above. The location is simply perfect, no doubt about that. It is not located in the popular district 1, but nearby. This is what makes it perfect. TCRP is surrounded by local shops, cafés and restaurants. You can mingle with the locals and easily find food and drinks for decent prices. 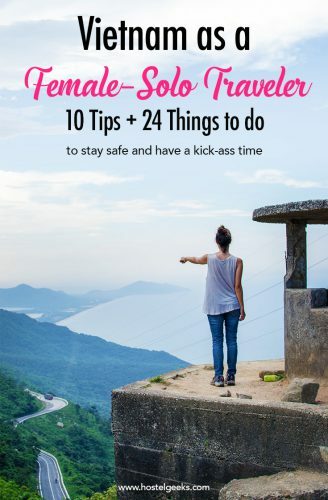 On top of that, you can jump into an UBER and be in the hustle and bustle of the backpacker area in less than 10 minutes. But, we’ve to warn you: The backpacker district around Bui Vien Street is packed, crowded and absolutely overrated. This is our own, honest opinion. Around the corner of TCRP you can find a delicious street food vendors, selling noodles and crab soup, vegetarian restaurants and cafés. 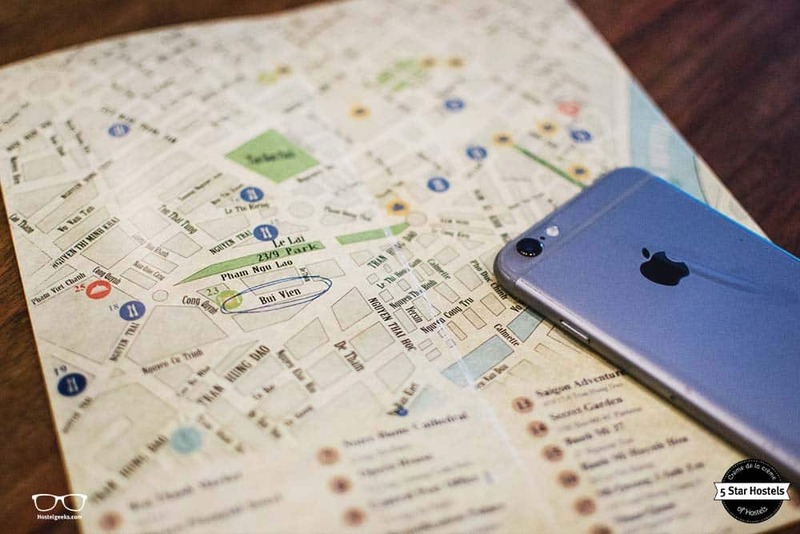 Just ask the team for whatever you are looking for, they know their area well! 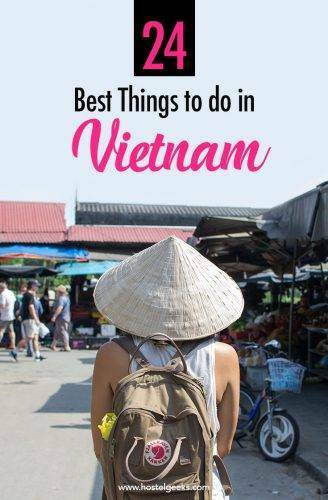 What about Cu Chi Minh Tunnels and the popular War Museum? You have to take public transport or a tour to the Cu Chi Tunnels. Ask the reception for help about this. They can recommend a super cool tour we joined as well. 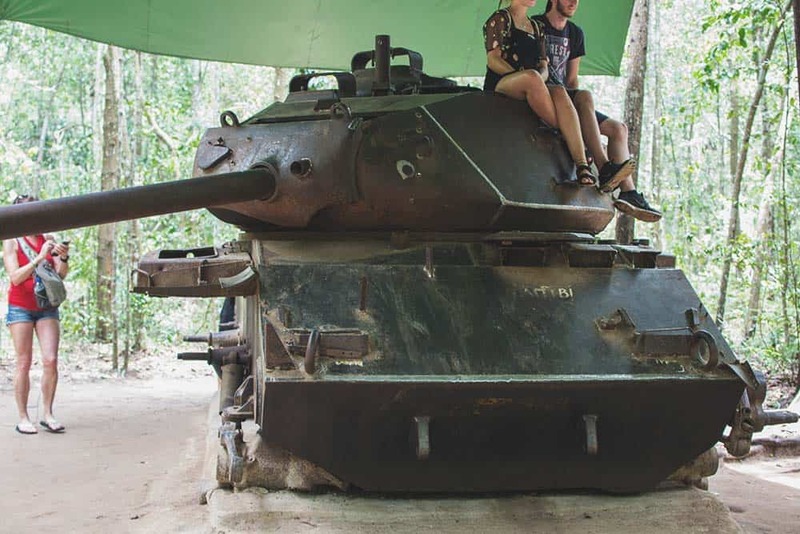 We really recommend taking a tour as the guide will share some curious and shocking facts on the American-Vietnam War. As for the War Museum; hop into an UBER. It costs you around $1 and takes around 15 minutes to get there. This is our review of The Common Room Project. From the moment we heard about this accommodation, we were excited about it. It all started with a video and its continuity with lasting memories and friendships. We included the video as well. We are Hostelgeeks, your independent shortcut to the world’s best hostels, the 5 Star Hostels. 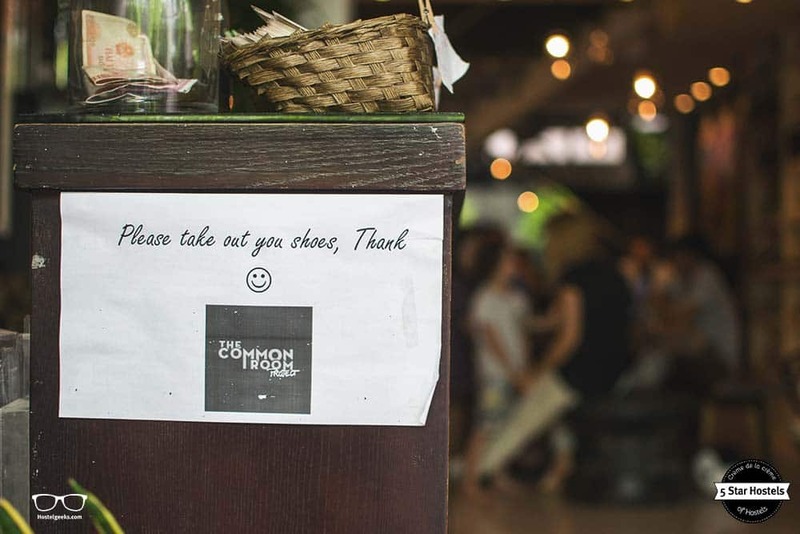 We traveled to Ho Chi Minh City to check out The Common Room Project for you. And we did even more. 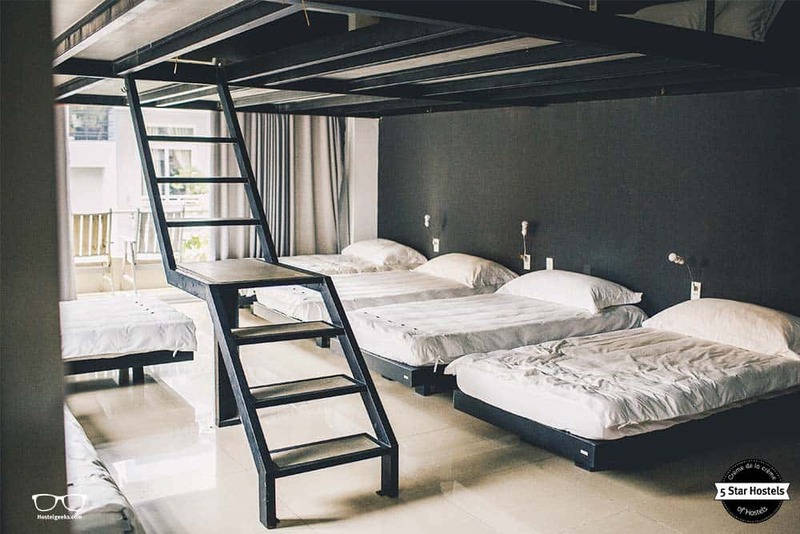 We collected the best hostels around Vietnam and South East Asia. The Common Room Project, or TCRP for short, is located in a small side street. 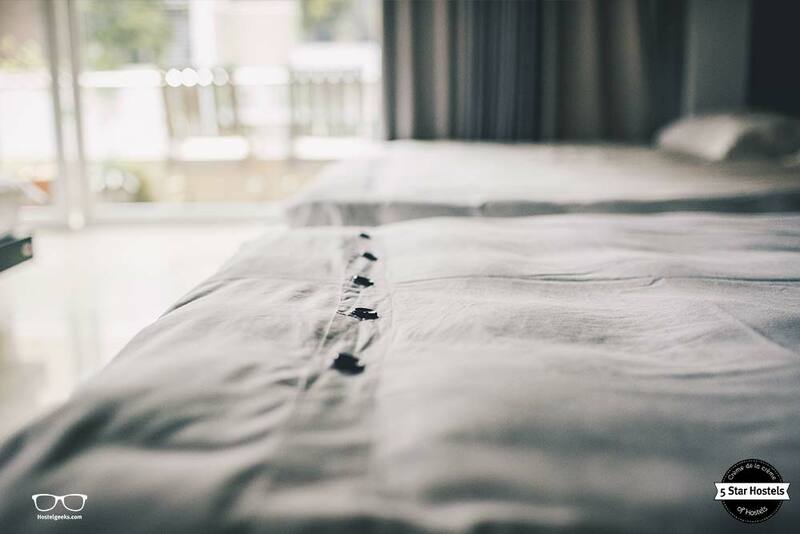 It is perfect to have a relaxing good night sleep, away from the noise and traffic of the busy streets of Saigon. The entrance is surrounded by healthy, green plants. One glimpse is enough to realize you’ve arrived at a hip, stylish place. The floor tiles in the entrance area circle around the vintage garden table and even from the entrance you can see through the entire ground floor. The open space concept unites reception with a stylish lounge and sofa, bold community table and the open kitchen at the end. Let’s kick off our shoes and start walking around The Common Room Project. There must be a reason for this curious name? And did someone say roof-top terrace? Let’s find out in this detailed review the Common Room Project. Locally managed and started from scratch, the Common Room is a love-child. As many stories with unique quality hostels begin, the owner loved to travel. 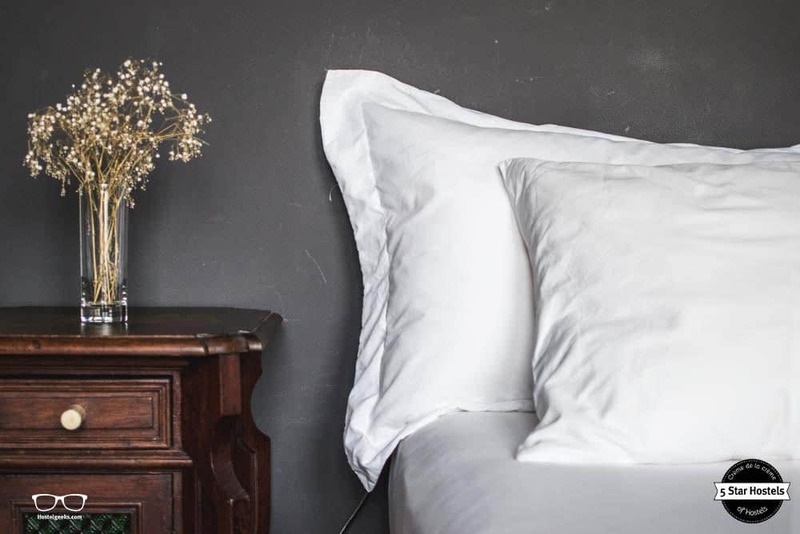 He enjoyed the social lifestyle of a hostel and the quality of boutique-style hotels. The hostel teamed up with local tour providers. You can get a pick-up transport to visit the famous Cu Chi Tunnels, north of Saigon. Are these worth it to visit? That is a big yes! Read our guide to best things to do in Saigon. 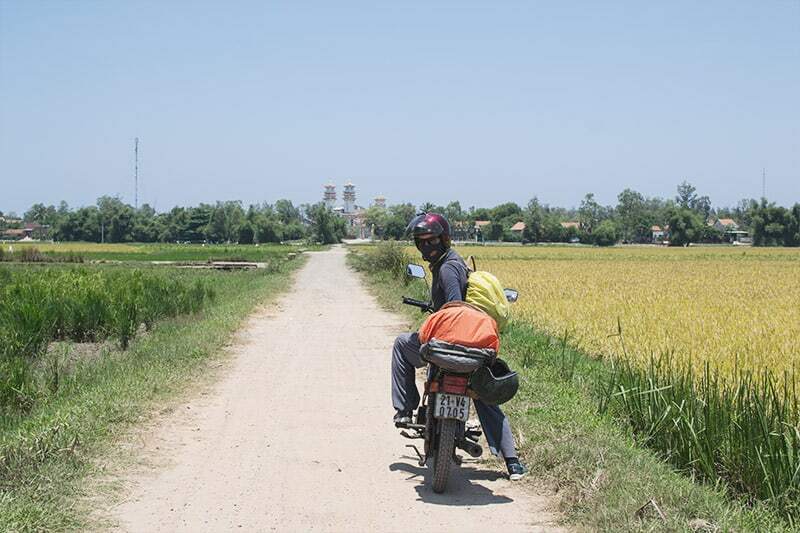 You will find many more tour offers around the hostel such as motorbike tours and tours to the Mekong Delta. The black board tells you the latest news and rumors – worth keeping an eye on! When on the staircase, look up! There is one curious thing to do inside TCRP: When on the staircase, look up. You will see the fish from below, swimming in their tank on the roof-top terrace. One of the fishes is a Crocodile fish. So it‘s better that you don’t try to cuddle it. But no worries, it’s not dangerous. Seriously, it really takes one quick glimpse. 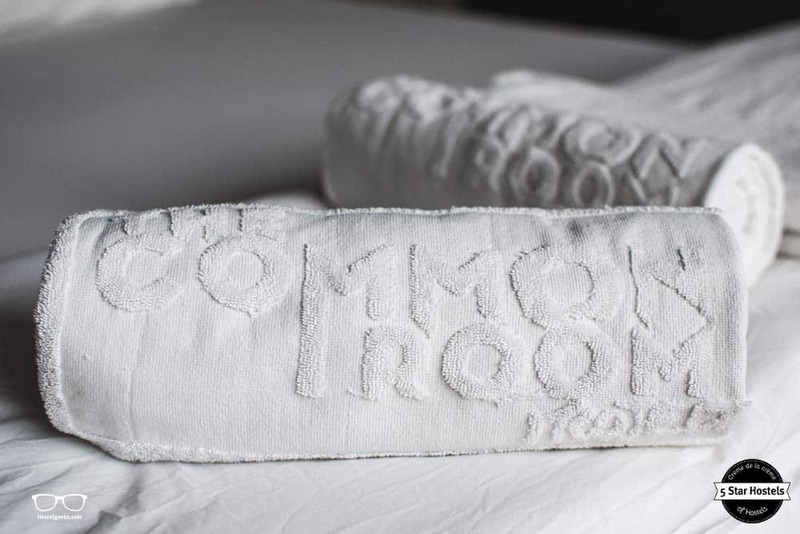 The Common Room Project is a design-conscious hostel. The house feels like a home, an oasis. Comfy sofas decorate the corners of the lounge and natural elements like wood and plants play a major part in the interior. How about we show you some amazing shots? On your way up you walk passed graffiti and vintage paintings of Vietnam and old Ho Chi Minh City. The private rooms on the left-hand side come in incredible quality, with fresh flowers. 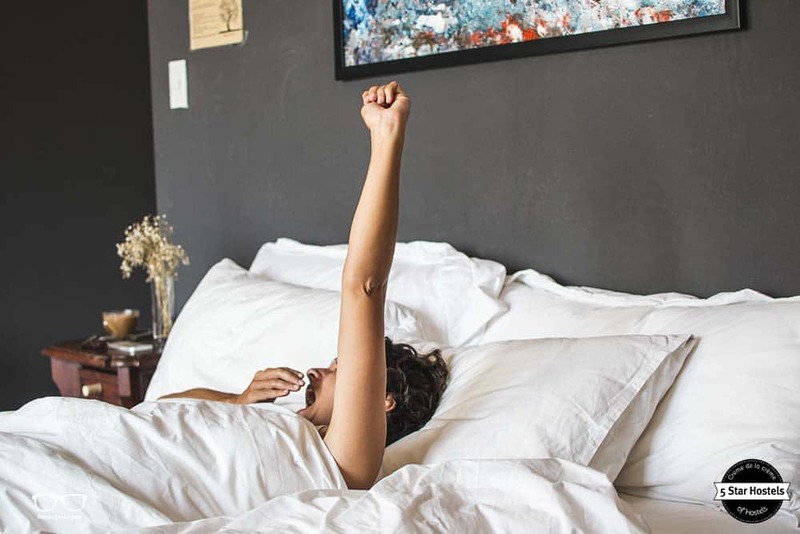 The rooms are spacious and the mattresses are dangerously comfortable, you may wanna spend too much time here. The glass wall in the bathroom is another highlight; another luxury touch. One of the rooms even features a cute, wooden desk. So, what about the dorms, you’re wondering? The dorms are expectedly stylish. There are two basic types of dorms to choose from. 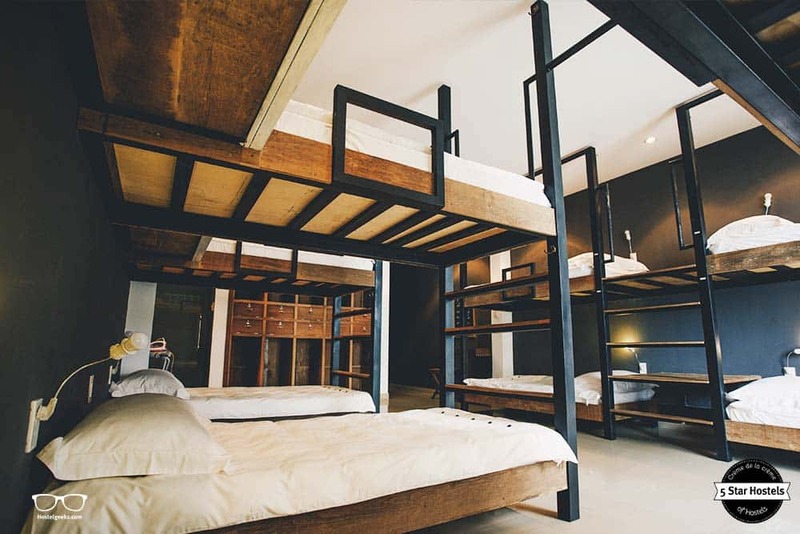 The bunk-bed style room comes with black, iron bunk beds. 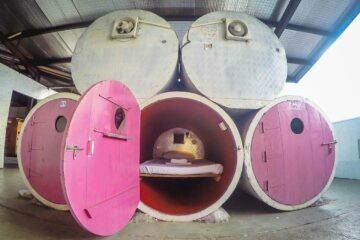 The, let’s call it single-bed dorm, has only single-beds and is separated into two levels. You can walk up the wide ladder. Let us show you how this looks. There are many things to point out making TCRP the #1 hostel in town. Have you ever stayed at a hostel you just enjoy from the first until the last moment? Well, it’s likely when staying at the 5 Star Hostels. 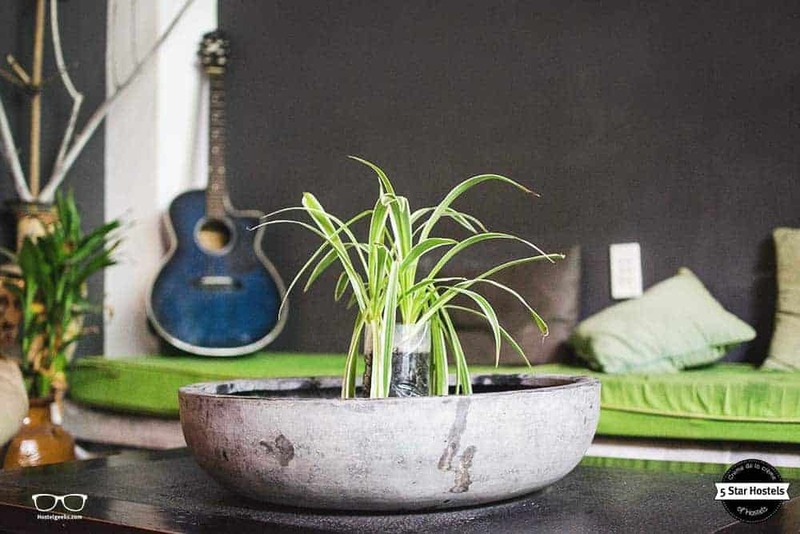 This love child of hostel combines a community feeling with stylish, comfortable facilities in high quality. 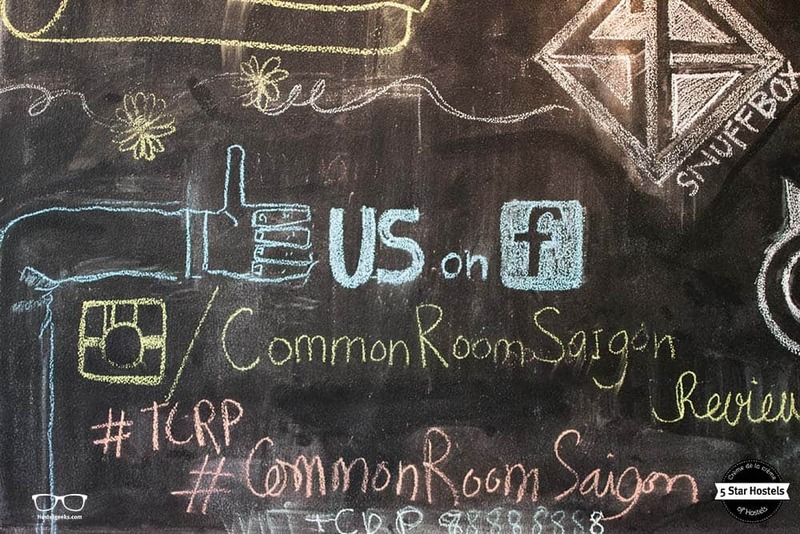 But, what is the best way to express what The Common Room is all about? 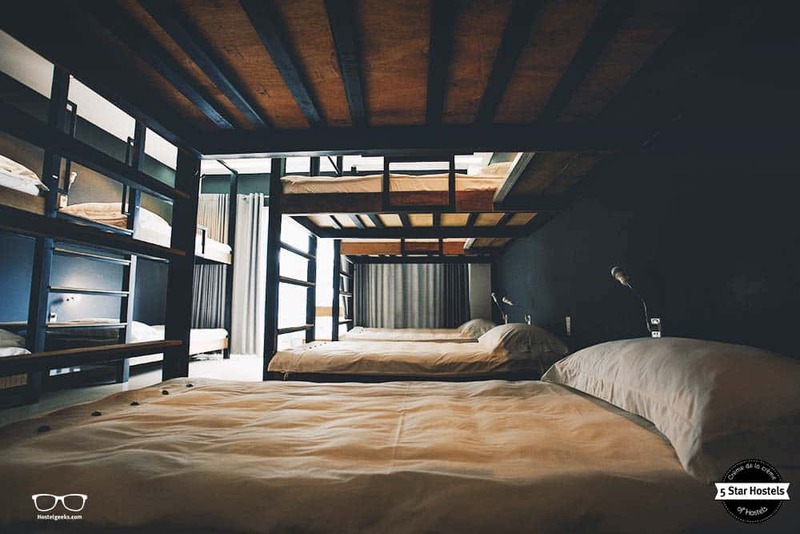 Here you can find 22 more videos of the best hostels in the world. The Common Room is all about being a community. You just saw it in the video. It starts when you have to take off your shoes before entering. 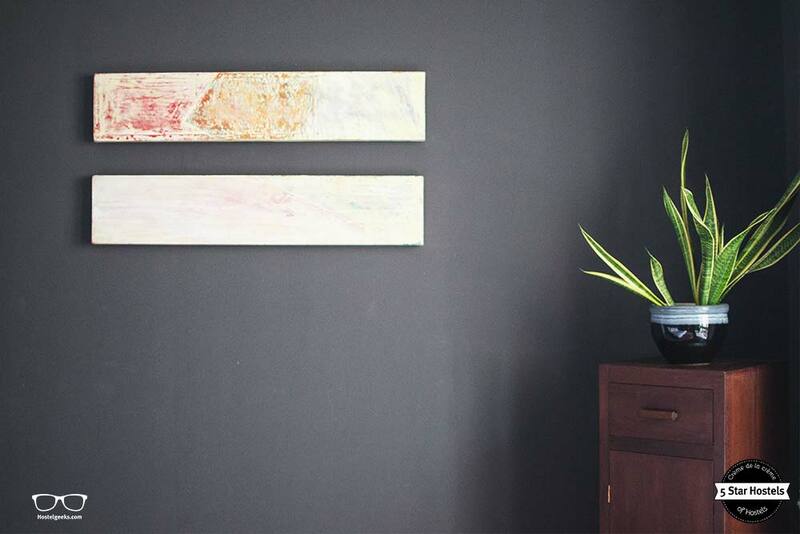 This simple gesture gives you the feeling of entering a home rather than paid accommodation. 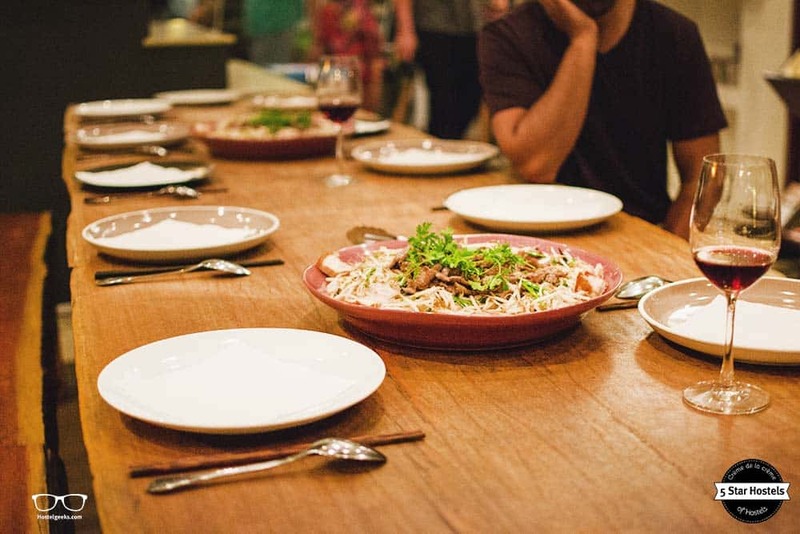 Another big plus is the long, wooden community table. There are two major hot spots to mingle at TCRP. The big common area on the ground floor with its community table, board games, and the roof top terrace equipped with a bar. Especially the ground floor is the place to hang out to meet and greet. You have to pass by this area to get to your rooms. So it is inevitable to give-and-get a quick hi. The community dinner is something you should never skip. Keep an eye on the black board, because the team organizes the dinner when enough people are interested and around. The food is tasty and they even serve local specialties like rice wine. Vegetarian? Let the team know beforehand. 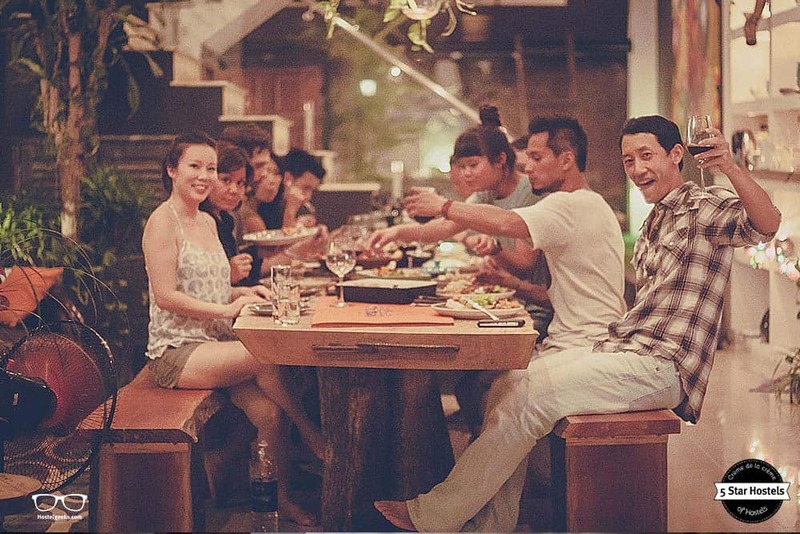 Last but not least, the guests and the team love to hang out and go out. There are special nights-out where the hostel unite the guests to go out for a drink. We already mentioned the staff. We always love to underline the importance of great people running the place. It makes and always will make a major difference in the overall experience. The staff are there to help you, to give you on-hand tips and recommendations in the city. Whether you want to know where to eat in the area or how to get around; Laura and her team really know the city. 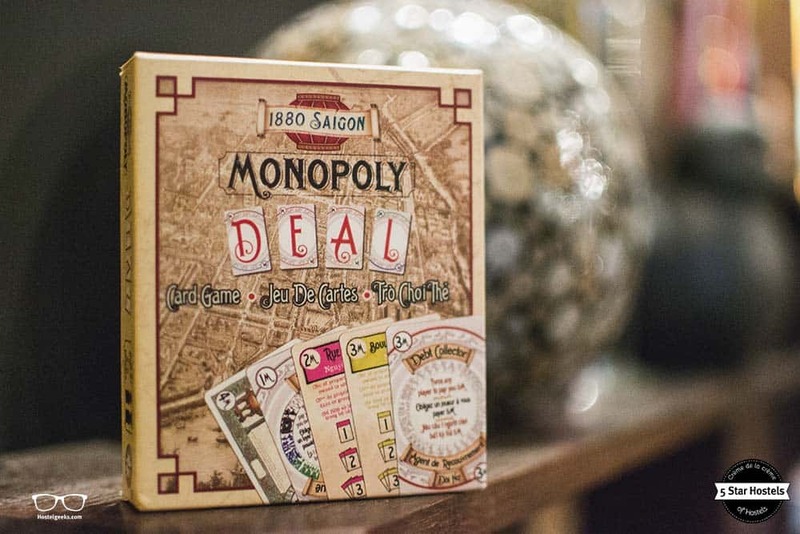 They give you their best insider tips for Saigon. This is how we ended up in the coolest market in Ho Chi Minh City. Have a look at Vuon Chuoi Market. Go there before 10am and try some local food there. An absolute hidden gem! Saigon vs. Ho Chi Minh City? For the traveler who has not been here, this might be quite confusing. What is the name of the city: Ho Chi Minh or Saigon? Saigon and Ho Chi Minh City are the same city! Since 1976 the official name is Ho Chi Minh City. Yet, it is commonly known as Saigon. Even the airport code is SGN (Saigon). Additionally, HCMC is the written version of the city. Once you type it 10 times, you will understand. Read more on that matter on Wikipedia. We get it, Ho Chi Minh City can be overwhelming. Especially for those who may temporary suffer jet lag. With more than 10 million motorbikes and a minimum humidity tax of 60%, you might feel it difficult to go out of your hostel. But, we recommend you to go and explore the city and the surroundings. 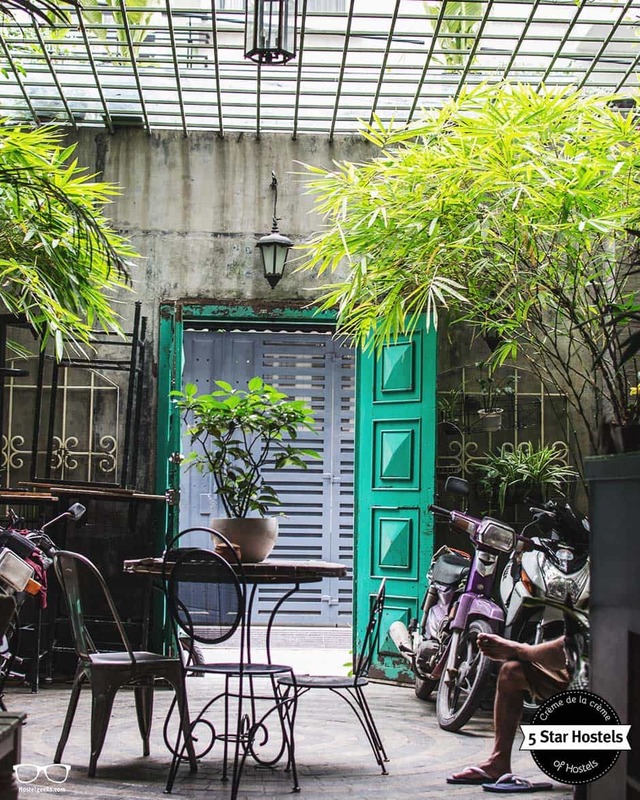 But think about this: Ho Chi Minh City has many hidden places that still need to be discovered by travelers (and locals). 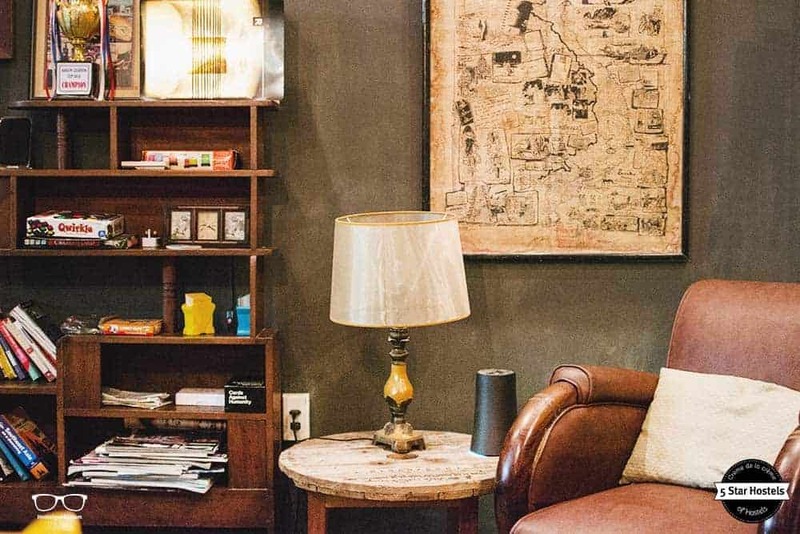 A building that looks like a simple working place can hide the best speakeasy in the city. 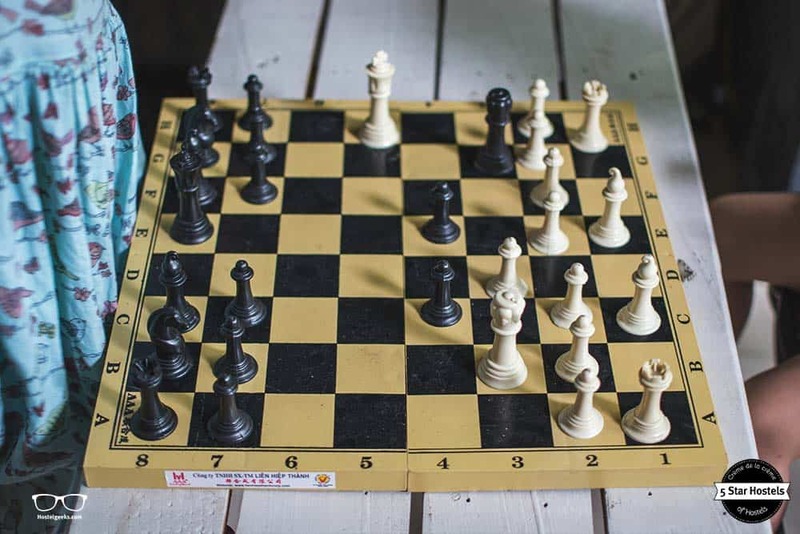 Remember to bargain any price, even if you are happy with the price, it is part of the game. A local market that Laura, from The Common Room Project team, recommended us. Here, you can see the real Vietnam. Food, clothes, and bustle daily life, mixed with, of course, motorbikes. Pay attention, the motorbikes won’t stop and the streets are narrow. Vietnamese Medicine is heavily influenced by Chinese philosophy. If you don’t want to miss any local specialty, we recommend you to join a Saigon street food tour. Have a look at this street food tour with motorbike – PURE FUN! Well, some Hotels have a swimming pool, and it is not necessary to sleep on the hotels to use the swimming pool. Normally, there is an entrance fee, so make sure you ask in advance what does this fee include to avoid any surprise. Good to know: expect a high fee to be able to use the swimming pool. Located in District 5, China town area in Ho Chi Minh City is quite interesting to see. You will find many markets, shops, temples, and pagodas. Good to know: If you are in Ho Chi Minh during the Chinese New Year, Chinatown is a must. Ho Chi Minh City rooftop bar’s are a must while you are in the city. Enjoy the views from one of the Skybars the city has to offer with a drink on your hand. Along this boulevard, there are some colour fountains, as well as many shops, restaurants and cafés. If there is an event in the city, the most probable is that will happen here. We recommend going to 42, Nguyen Hue Boulevard, pick a restaurant or café in the upper floors with street view, and sit with a drink. Take your time to admire the fountains, the people walking around, and the vendors who play hide and seek with the policemen. Actually, bring warm clothes because it is going to be cold inside. You can check the cinema schedule here. Many people say, this is where east meets west. Vietnam being a largely Buddhist country, this Cathedral is interesting for many foreigners. It can only be seen from the outside. Located in the heart of HCMC, this building fascinates many visitors. You can see a mixture of Gothic, Renaissance and French influences. It is one of the oldest buildings in the city. Matt loves coffee, so during our travels we do always find design Cafés with tasty coffee. To find these nice Cafés can be tricky, as many places are hidden in buildings which do look like as an office. Near the history museum, the Botanical Gardens are the place to stroll with giant tropical trees. there is also a zoo, but it is not in good conditions. We are sure, there are many speakeasy in Ho Chi Minh City, but we do have a favorite. Hidden on a residential block, you can find an unique space which offers sophisticated and tasty cocktails, great design, and live music. Snuffbox aims to offer chilled vibes and high-quality drinks. And it certainly does. For those looking for party, HCMC won’t let you down. There are many bars and discos around the city. Whatever your taste is, you will find it, we are sure of that. Our recommendation? Go to Inidka, known as the House of curiosity. It is a place to chill, work, create, eat, and drink. The vibes are simply amazing. Just a s many other big cities, like Bangkok, many things happen around the Backpacker street. 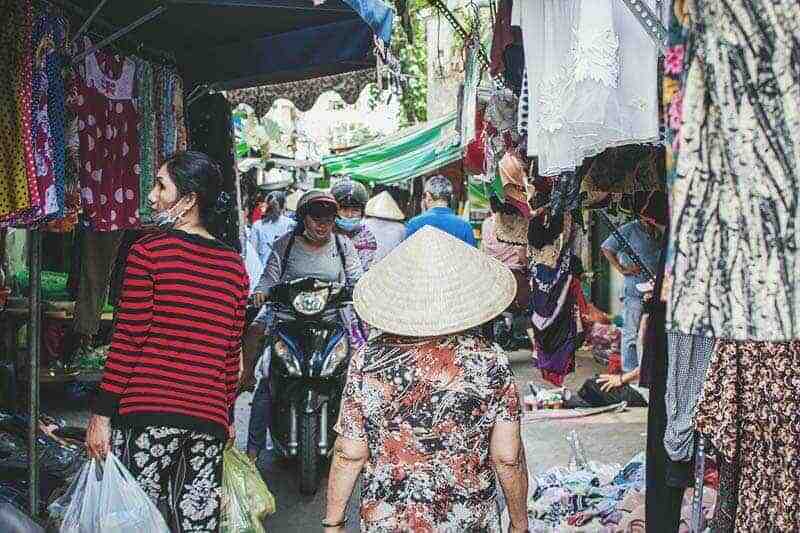 In Ho Chi Minh, the backpacker street is Bui Vien Street. Known as Lady Pink for many people, Tan Dinh Church is a church built during the french colonial period. The war remnants museum contains exhibitions from the war period. Bear in mind, the War Museum do close from 12 to 13:30. If you happen to be in the area, there are restaurants and cafés. 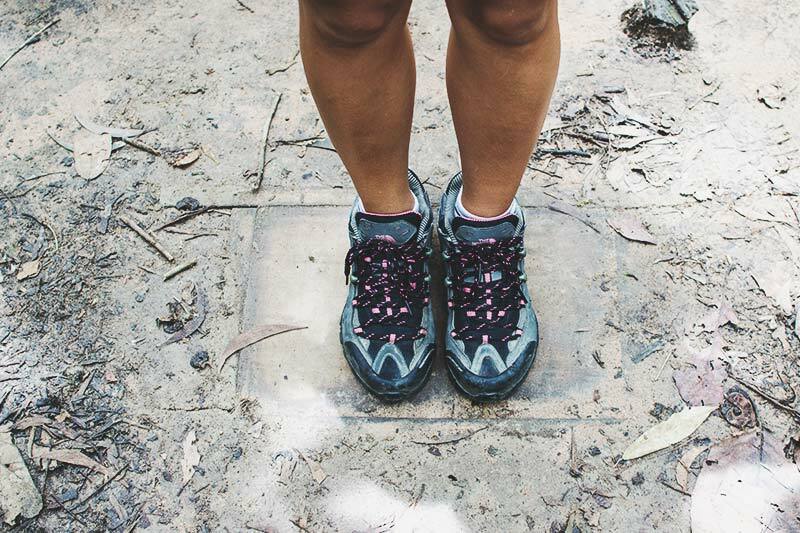 We already mentioned it: you should visit the Cu Chi Tunnels. Having a guide, will help you get many details and facts about the tunnels. You can book in advance a Cu Chi Tunnels tour here. Traffic is crazy, and it can be fun to experience! Yet can it also be scary. We would recommend you to take a deep breath and give it a try. Think about it: how many time would you be able to do ride along HCMC? And these guys certainly have the experience to ride in such a crazy city. But how to get a taxi without getting ripped off? Here our trick, which is also valid for ordering car taxis. Get the app called Grab on your cell phone and ask for a Motorbike Grab to get a ride. With Grab, you do not have to discuss starting and finishing point, as you will mark it on the map. Neither the price, they indicate an approximate price, so you will know beforehand how much your ride will cost. You can avoid district 1 if you feel overwhelmed by the city traffic. 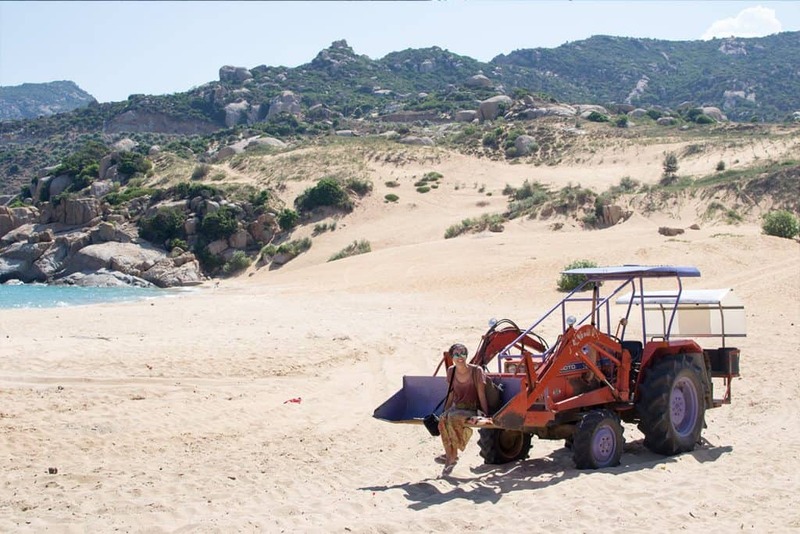 But we encourage you, a motor ride is a real experience! Fancy a promo code for The Common Room Project? Who doesn't?! Now, there is no easy way to say this: Currently we do not have a valid discount for The Common Room Project. 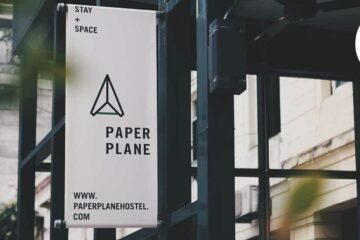 We are working on getting more promotional codes for The Common Room Project in Ho Chi Minh City and all the other top hostels we reviewed for you. 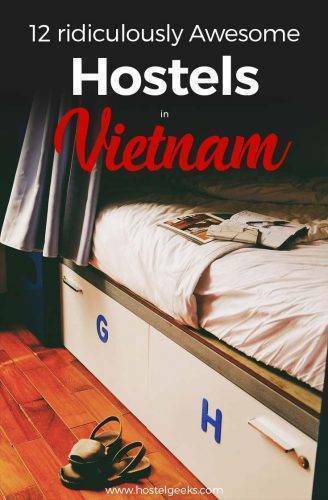 You were looking for the absolute BEST hostels in Ho Chi Minh City? You just found it! 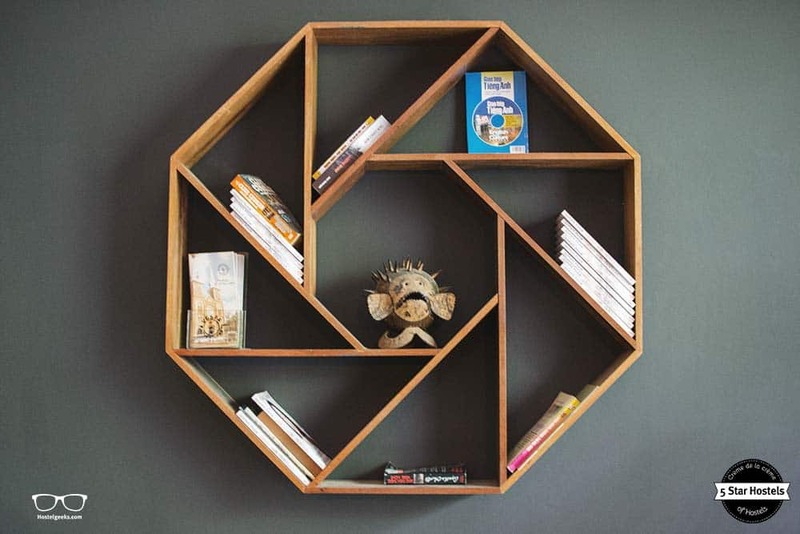 The Common Room Project is the top place we recommend to our friends, family and to you! 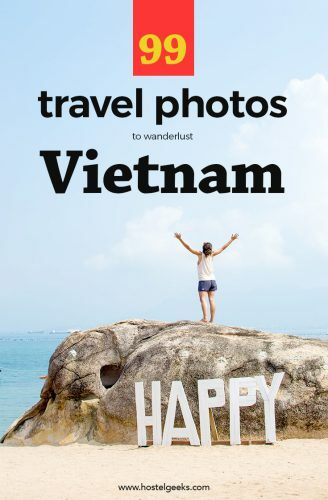 Update April, 2019: How to find flight deals to Ho Chi Minh City? Still looking for cheap flights to Ho Chi Minh City? We LOVE Kiwi.com. You can search here with a so-called "radius search". It is incredible easy to find sweet flight deals to Ho Chi Minh City and area.